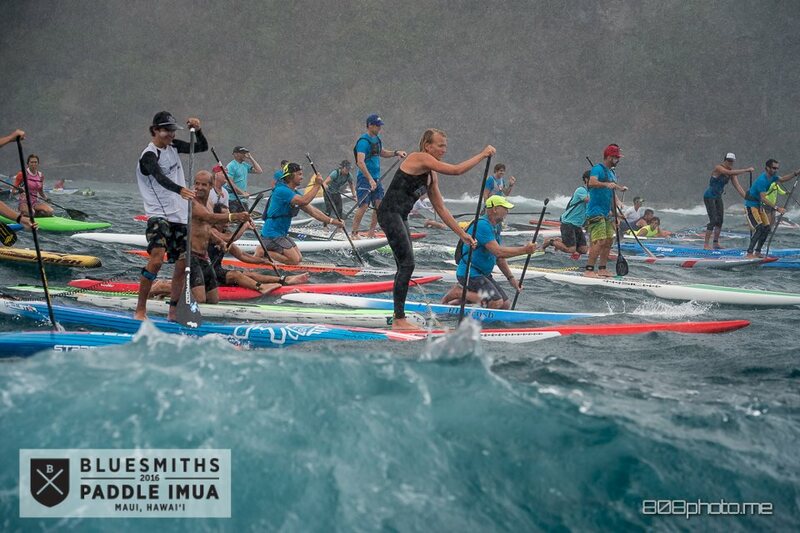 Fresh of her victory at the big OluKai race last weekend, Sonni Hönscheid has taken out the 5th Annual BLUESMITHS Paddle Imua charity race on Maui, as heavy rains turned the usual sunny downwinder into a bit of a grind. Australian James “Jimmy” Casey, who also finished on the OluKai podium, took out the men’s race ahead of local expert Jeremy Riggs. The victory adds to Jimmy’s impressive run over the past few months, which has included multiple victories at home in Australia and now abroad as well. We rated the JP team rider as one of the “Dark Horse Paddlers” to watch in 2016, and so far he’s living up to that label. Bullet Obra took out the 14′ division ahead of Bart de Zwart, while Fiona Wylde was too strong in the women’s division. Click here for the full results. Watch the clip above from Mike and you’ll see what he means (the on-water action starts around the 2:05 mark). The excellent 808photo.me has a full gallery up on Facebook as well. Paddle Imua is a benefit for Imua Family Services, with the event’s mission to “celebrate the lives of special needs children by embracing our connection to the ocean.” The event is strongly supported by the Maui-based BLUESMITHS premium clothing brand.